Last month I've been doing a bit of online shopping as there's been quite a few great sales and GWP deals happening. Luckily I've been able to pick up some products that have been on my wishlist while also being able to get some new and different products to try. 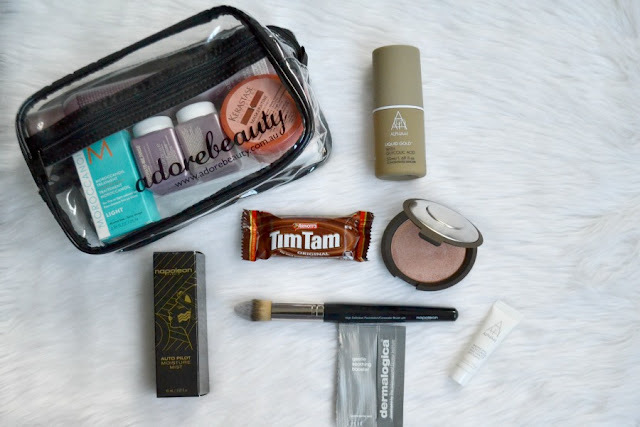 I always seem to have an Adore Beauty wishlist, but I like to wait until they have a good promotion on before I order anything. Earlier this month they had 2 great promos that I was able to use in the one order. Becca Shimmering Skin Perfector Pressed in "Rose Gold"
I adore my Becca "Moonstone" pressed highlighter, so I bought the now permanent Becca Shimmering Skin Perfector Pressed in "Rose Gold." This was a limited edition blush/highlighter a while back, but they've brought it back in their permanent line. I have to admit I'm underwhelmed while using it as a blush, but as an eyeshadow.... WOW! I've been using this day after day in September on my eyes. It's so beautiful. It gives me a gorgeous sunset pinky orange colour. 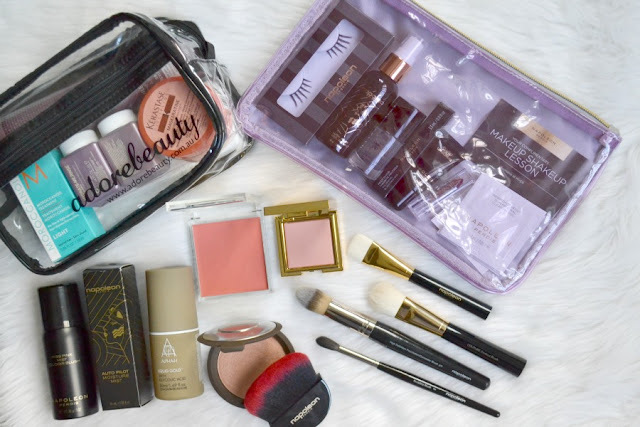 While I'm currently trying to buy less make up (feel free to laugh at me because you're reading about a haul!! ), I'm wanting to expand my make up brush collection. I always buy one of the Napoleon Christmas brush packs every year but I don't own any of their single brushes. I ordered the Napoleon Perdis Foundation/Concealer Brush G20 as it's a brush that I've been lusting after since seeing it featured on their youTube videos. It's a fantastic brush that's unlike any of my other foundation brushes. It's big enough to do my foundation easily and quickly, but is still small enough to use around my eyes for concealer. I've also used it to apply a cream eye shadow and a cream highlight. I REALLY adore this brush and want to buy a back up (or 3). 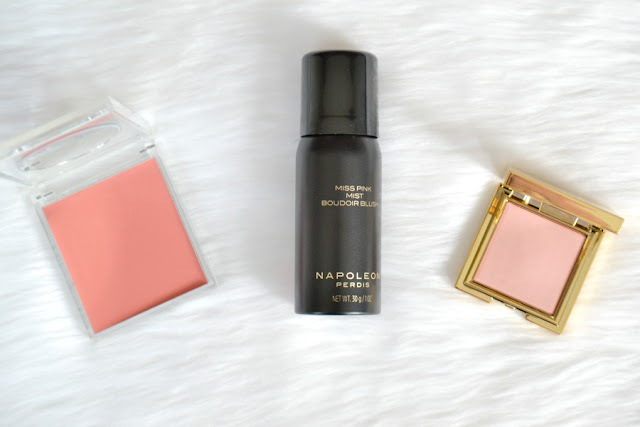 I also had on my wishlist the Napoleon Perdis Auto Pilot Moisture Mist. This can be used as either a toner or making up setting spray. It feels so refreshing on my skin and smells beautiful. This will be a lovely spray to use on those hot Adelaide days that are coming. 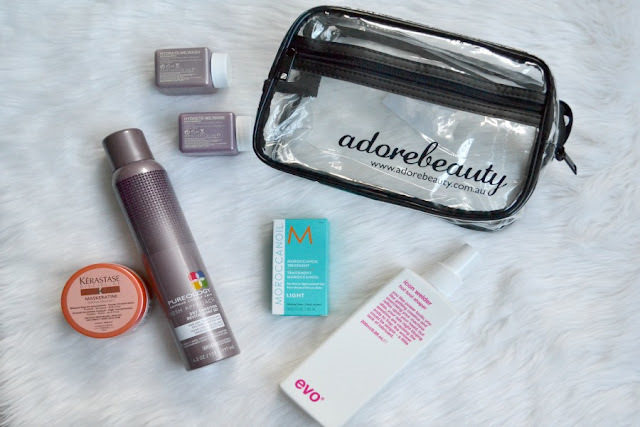 Adore Beauty had a special offer when I placed my order to receive either a skin or hair goodie bag for free when you spent $120 or more. I picked the hair pack as I was interested in the Kerastase mask, Pureology Dry Conditioner and the KEVIN.MURPHY shampoo and conditioner. As I'm an email member of AB, they had a code for a free Alpha H Liquid Gold which was perfect timing as I use this every second night and was running low on mine. As usual AB also included a Tim Tam (yummmm) as well as 2 samples. I also picked up some goodies, again from Napoleon. Firstly from their online store. They were having a sale so I picked up 2 of their brushes - the Couture Highlight Brush and the Couture Contouring Brush. I also bought 2 brushes from Myer. They were having a Napoleon GWP, so I picked up the Boudior Brush as well as the 10R Sculpting Brush. The Boudoir Brush is a beautiful brush to apply powders and highlighter. It's so soft and feels luxurious. I use the 10R Sculpting Brush mostly for my eyes as it's a gorgeous blending brush. It feels really soft on my eye area but it's great for highlighting and contour. I'm really impressed with the NP brushes that I purchased. They're great quality and feel really soft. I now have my eye on their G18 Flawless Foundation Brush, 20B Reflective Contour Brush and the 24R Buffing Brush. NP have recently released 4 new cheek products and I have 3 of them. I don't have the Reflective Refiner Highlight, but have seen it in person and it's beautiful. I've been using the 3 new cheek products over the last month (which you might have noticed on my Instagram) and I have to say that I'm surprised that my favourite is the Miss Pink Mist Blush. * It feels very refreshing when you spray it on, but my favourite way to apply it is with my Real Techniques Triangle Foundation Brush. 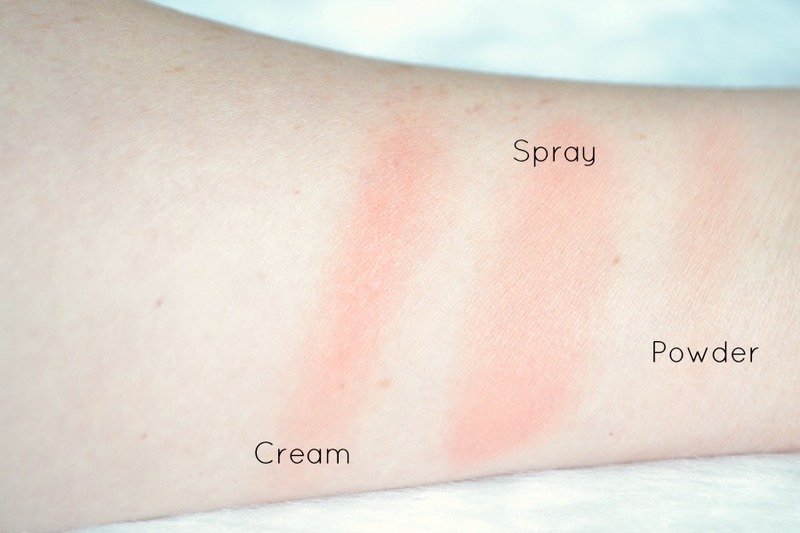 I get the most pigment from the Dreamy Duchess Blush Cream,* followed by the mist and then the Reflective Refiner Blush. * If you have a habit of going overboard on blush then the powder would be perfect for you as it's difficult to go overboard using it. I love the cream as it's so soft and easy to apply onto your cheeks. I can't wait to find out what Napoleon has available this year in their Christmas range. This year they've had some amazing new products and every year their Xmas range just gets better and better! Have you tried any of the new NP blushes? Do you wait for a GWP before buying anything? Is it bad that my eyes went straight to the timtams? Becca highlighter looks amazing!! Impressive haul! I too wait for adore beauties awesome deals. 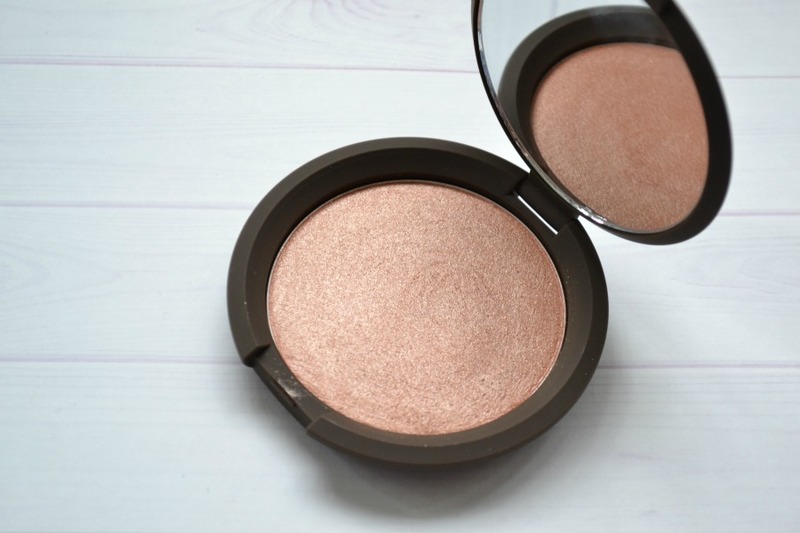 Im now lusting after the rose gold becca!! 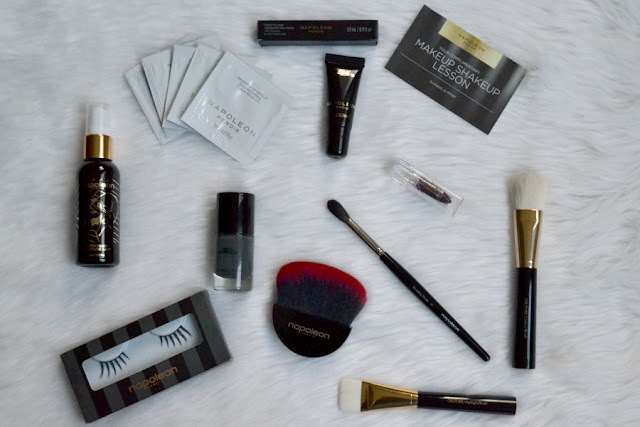 You did a great job with this haul! I'm super jealous! GWPs makes buying even better!! I've seen some Xmas packs out for NP, I'm not too thrilled yet. Hopefully some more will come out soon!